You can count on Classic Turning’s expertise in engineering services when you need to generate 3D CAD models from existing objects, whether to determine the original design intent or to modernize manufacturing processes. We use the latest technology and continually strive to improve our operation. We can also import and export non-Mastercam CAD files such as AutoCAD, Solid Edge, Inventor and Parasolid. We use FIXED-TURNING® which gives us the ability to machine the most complex shapes, including straight lines, radii, concave or convex, in both directions, while guaranteeing extra ordinary geometric qualities. We expertly use a variety of Mastercam® products. Our skilled Mastercam programmers are ready to help you. 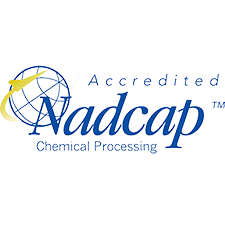 Statistical Software for process capability studies and Statistical Process Control. This software supports 3D CAD, product data management, simulations, technical communications and full toolpath associativity. Featuring: Offline 3D Programming, Mazatrol Compatibility, Data Print, Data Transfer, Tool Library, and Tool Path Library. Computer Aided Manufacturing (CAM) software for Multi-Axis Swiss Machine programming and post processing.